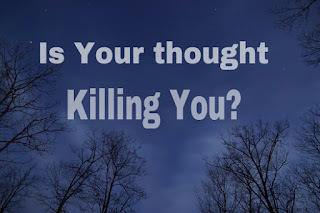 Are You Saved From Your Negative Thought Or Is Killing You? You are the product of your thought. Your thought is also the reflection of your personal beliefs. That's why, no achievement can said to be recorded by anybody, without passing though his imagination. 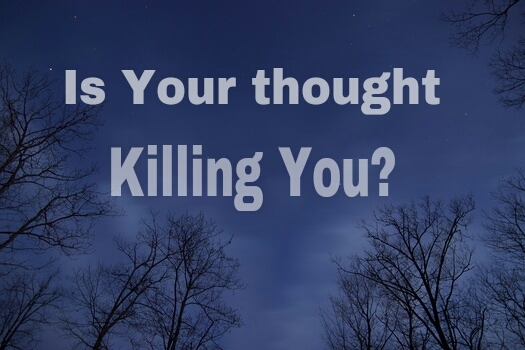 Have you ever tried to find out what most of your thoughts consist? Are you a positive or negative minded individual? You are the product of what you think. Your thinking determines how you feel about yourself and influences your life as a whole. The way you think has a great way in determining what your life looks like. Even those little thoughts in your mind are pebbles in the foundation on which your life is built. So it is important to ask yourself, whether your thoughts are positive, and capable of uplifting you...this can be done by examining and finding out how many times you've been discouraged from taking certain risk which would have been more productive. Are you the type that always doubt yourself and questioning every chance of hope? Do you always have a negative thought about yourself? Do you ever feel jealous of someone because you thought you may never achieve what they just achieved? Ok let me give a scenario here - At your own free time, you were surfing through the internet. Logged into your Facebook, going through your wall. You scroll down and see an old school friend who just tagged you a picture of his newly completed house and a brand new car. You looked at the picture for a while, took your time to read some congratulatory comments and shook your head. You don't feel like saying anything about it, then you got bored and bothered and you quickly logged out. You don’t want to see any more of that. Do you know why this happened? Was it because you are naturally jealous or because you dislike that friend of yours? The reason is simple, and the problem is from your mind. The moment you saw that house and the car, you thought poorly of yourself and ended up with the impression that you may not buy a car talkless of a house in some years to come. This is the major reason why you couldn’t be truly happy for your friend, or to atlest pretend to like the picture. You've permitted your mind to compared yourself to him and directing your mind on the lack in your life. Whenever you give room for negativity, your negative thought will tell you nothing order than- the reasons why you can’t have nice things, like building a house, a car or any valuable things? The easiest way to know you are negative minded is by asking yourself some couples of questions. If most of your response begin with “I’ll never,” “I won’t,” or “I know I won’t be able to make it.” Then, believe me, you’re not safe from your thoughts. If care is not taken, they are capable of crippling your ambition and hurt you. If you are having set back as a result of negative thinking, here am ready to provide you with three solutions to be free from your mind. 1) Believe in yourself: To do anything in life, you have to believe in yourself. You have to believe in your abilities and have confidence. Let me remind you how you took your first step as a child. Your parents and other siblings put so much effort in teaching you how to walk but you never had the courage and confidence to stand alone, to start walking. No matter how hard they tried. You finally took your first step as a child when you might have built enough confidence on yourself and believed you could. Without anybody forcing you. Though you took those steps with imperfection, but today you perfect and you can run. Be your own motivator, instead of telling yourself that you can’t, believe you can. Always think that you can do it, because you can. Once this pattern of thinking becomes natural to you, you’ll reject any doubt, from your mind. 2)Find out how true is your thought! Most times many of your negative thoughts can be false and only become a reality after you might have allowed them to dominate your mind. Just because you think you will fail your school exam doesn’t make you a failure. But if you continue with the thinking, you believe in it and make it come to reality. That's when you've actually turn a failure. Personally, whenever I have a negative thought, I do assess it. Determine if there is any truth in it. If there is non, I dismiss it. But if there is, I correct it, and prove my mind to be wrong. 3) Don't be discouraged with your past: Failure in life has it ways of affecting our thought especially when we are trying to achieve greater things. A boy may believe he will fail his university's exam, because he had failed it four times in the past. Also a job seeker may believe she won't pass an interview, because she has attended more than fifty and never got a job. When trying to achieve success, your past failure may haunt you, but don't let it. Look at it as a learning experience. Think of what you can gain from it, and how it will help you next time you tried. Make sure that your thoughts are conducive to achieve the life you want to live. And it is your sole responsibility to pursue and protect your dreams for you to be an achiever. Yea...you are so right. Thanks for the comment.